"Brothers & Sisters" Walker House Foyer. Set Decorator Bryan John Venegas SDSA. Photo copyright ABC/Richard Cartwright. "Brothers & Sisters" Walker House Kitchen. Set Decorator Bryan John Venegas SDSA. Photo copyright ABC/Richard Cartwright. "Brothers & Sisters" Walker House Den. Set Decorator Bryan John Venegas SDSA. "Brothers & Sisters" Walker House Living Room. 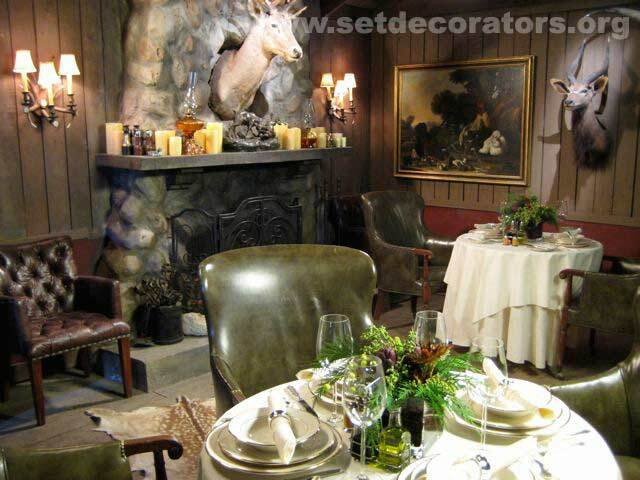 Set Decorator Bryan John Venegas SDSA. "Brothers & Sisters" Walker Landing. Set Decorator Bryan John Venegas SDSA. "Brothers & Sisters" Boyfriend's Loft. Set Decorator Bryan John Venegas SDSA. "Brothers & Sisters" Close-up, Magic Manor. Set Decorator Bryan John Venegas SDSA. 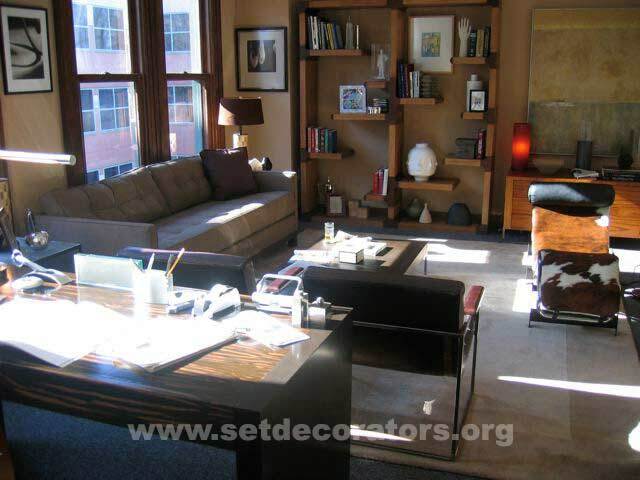 Bryan John Venegas has built an extensive resume as a Set Decorator that includes both feature films and television. He currently can be found working on the 4th season of the popular ABC TV program "Brothers and Sisters" as well as serving his first term on the board of directors for the SDSA. Photo (on left) 2009 Set Dressing Crew from "Brothers and Sisters"
Top row, left to right: Terry Sheffield-Drapery Foreman, Kevin Doran-Set Dresser, David Gordan-Draper, Gene Trautman-Set Dresser, Marcos Gonzalez-Set Dresser, Phil Tubach-Lead Man. Middle row, left to right: Carrell Shaw-Shopper, Ray Garcia-Set Dresser, Andy Gersh-Set Dresser, David Sliwa-Set Dresser, Lisa Tong-Shopper, Adria Badagnani-Coordinator. Bottom row, left to right: Alejandro Luna-Set Dresser, Bryan John Venegas, SDSA-Set Decorator, Eric LaBonte-Set Dresser, John Pollard-Set Dresser. Well, I think it very odd to sit at my computer to answer questions that don't pertain to fixing a problem, or solving a budgetary issue, or trying to dress a set with two match sticks and a button, but here it goes. We have such amazing talent in our organization and I admire their work a great deal. I'm the new kid on the block with only ten years in the business... Bryan who? I am an imposter, I must confess, of the highest caliber. I have always been and done things that were not in my cards. I made up stories, which my parents called lies, my whole life, from as far back as I can remember. I grew up on the lower end of the middle class, and wanted to be from the affluent side of the tracks. I’ve always played it way cooler and tougher than I ever was, and dressed the part to get by. I’ve been a magician my whole life, turning myself, and my surroundings into everything I’d ever wished for. In fact, preparing myself for a life in the film industry by creating imaginary worlds through my surroundings. I was born in East Los Angeles in 1969 and grew up with my family in Mission Hills, California. From a very young age I was attracted to anything that had to do with the arts. I had several family members who were in the business, both in front of and behind the camera, and I was enamored by the stories of their travels and experiences. I was a bit of a loner, spending most of my time painting, going to museums, listening to music and making trouble on the streets of Hollywood, hanging out in punk rock clubs. I came from a very musical family and played the cello for six years as a young boy, which my parents thought would give me the push I needed to follow that dream and keep me out of trouble… it never did. I always figured I would do something in the field of music, inspired by a cousin of mine who was a soprano for the San Francisco Opera. When I was young I saw her perform and was mesmerized by the sets and scenery. I remember thinking how fascinating it was and I believe the seed was planted then. My love of music and art was my link to a future in the industry, along with a very vivid imagination. 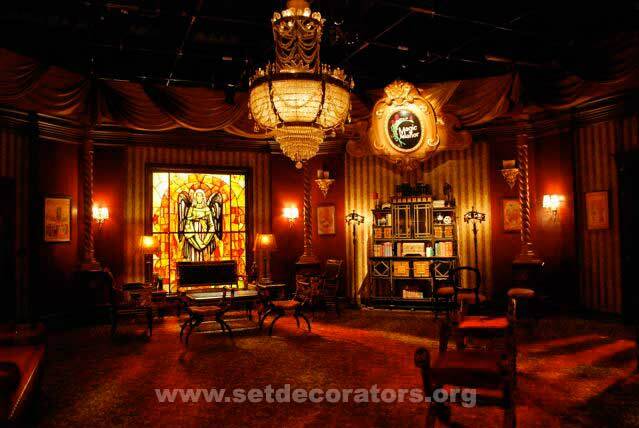 What type of education did you receive prior to becoming a set decorator? I didn't have a formal education in decoration or design, but I worked with some fashion photographers as a young man. I climbed my way up the ladder as a prop stylist, set dresser, shopper and eventually got a few opportunities to decorate some commercials on my own. I followed my instincts, studied up on all the latest design trends, paid close attention, listened and took a lot of notes. I’ve always thought of my self as a full time student. I learn something everyday. I value opinions, I fail and correct daily, I listen and observe, and I show up everyday to discover something new. Creating came very naturally to me. I’ve always had an eye for detail, and I made it my goal to get into the union and work on films. 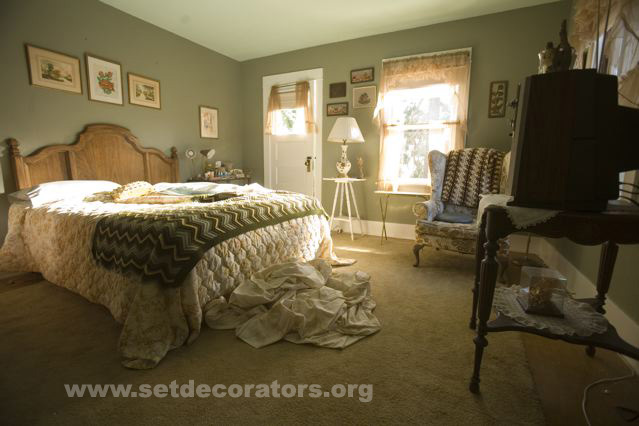 I was encouraged by a few decorators early in my career, women like Anne McCulley and Susan Eschelbach whose work I admired. I was also very fortunate to work with some great people early in my career, who took me under their wings and helped me get to where I wanted to be. It takes a certain kind of person to survive this business and the hours you have to endure to be successful at it. I’ve worked hard and so far it’s paid off with some amazing experiences. What are your preferred resources when researching a project? The computer and a good research library can make all the difference, although I find that the most valuable research is just doing. I travel extensively and learn by experiencing different countries, visiting distinct communities, and absorbing cultures from around the world. I eat, drink, and play with the locals in every city I visit. I document my travels and use them as reference in everything I do. I keep my pulse on fashion, music, film and design because I think they are all intertwined. I work side by side with my crew and collaborate freely with those that I trust and respect. These sources, relationships, and the friendships I’ve made along the way are invaluable resources. What have been three of your favorite projects? Three of my favorite projects, besides the show I am working on today, include a mini series, and two independent films. The first was the mini series AMERICAN FAMILY which was a very personal and gratifying experience. The story was about a Latino family in East Los Angeles, where I was born, and spanned the history of this family from the Mexican Revolution to present day. It allowed me to get back in touch with my community through research and development of these complex characters. 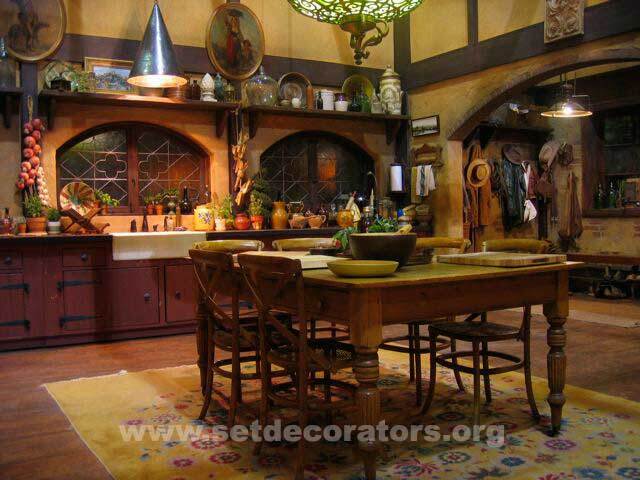 It also gave me the opportunity to do some period decoration, which I’ve always wanted to do. The second was a film ME AND YOU AND EVERYONE WE KNOW by the amazing visual and performance artist Miranda July, whose work I’ve always admired. The story was a poetic and penetrating observation of how people struggle to connect with one another in an isolating and contemporary world. This film allowed me the opportunity to work with a director who shot like an artist. I used symbolism through color and lighting to tell the story of this complicated romance and to reinforce the creator’s vision. I also used a patchwork of patterns throughout, to illustrate the meshing of the two characters and rich textures to define the personality of each. Although the project was small in scale, it was one of my most rewarding accomplishments. Finally, the stunning film, by first time director Karen Moncrieff, called THE DEAD GIRL. This adventure gave me the honor to work with some of the great contemporary actors of our time. The gritty film, told in five chapters, stared notables Toni Collette, Marcia Gay Harden, James Franco, Piper Laurie, Giovanni Ribisi, and Rose Byrne each of whom I had the opportunity to work with in the development of their characters through their habitats. The piece was a disturbing and dark account of murder, told through the eyes of five women, connecting each to the deceased in some way. This director had a clear vision and emboldened my viewpoint. I love working on film and being allowed to use my experience to influence the overall look of the final cut. Getting to work with amazing visual and performance artists, working with respected actors and creating complex characters for these three projects allowed for growth both personally and professional. 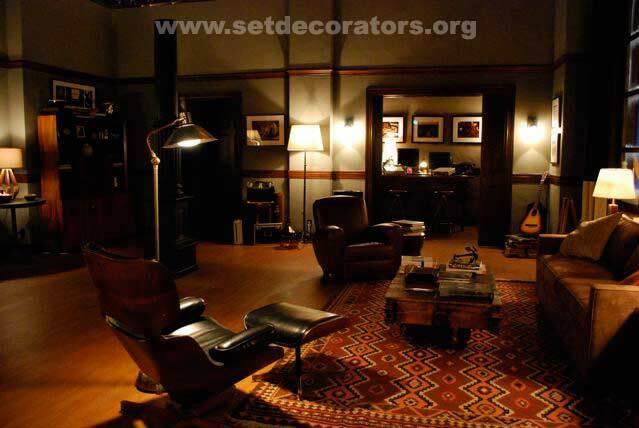 What has been your greatest challenge as a set decorator? One of the biggest challenges in this industry is getting the opportunities with very little connections. It takes years to cultivate work relationships with production designers, directors and producers and even longer to get the options that come with those affiliations. Sometimes it reminds me of middle school, where I tried so hard to fit in and ended up sitting on the sidelines observing everyone else. Observation though is what has given me the outlook on creating and building those worlds I dreamt of as a child. Being a minority in this business is also an immense challenge. There are very few of us in positions of power in our industry. I am thankful everyday that I have had the good fortune to meet some wonderful people who believed in my talents. I work hard, I roll with the punches, I always smile, and most importantly, I listen and observe. Who are five of our SDSA business members with whom you enjoy working? It’s very hard to choose from such a varied group of companies associated with our organization. I use all of them often and for different reasons, and I value them equally for their support and service. For the show I am currently on, the five companies below have been instrumental in my success in the creative process. Astek Wallcoverings is one of my favorite business members. They have such a wonderful selection of designs, which I often use as inspiration for my creations. Omega is a great source for the show. They have a diverse and historical collection, that enables me to do so many different kinds of sets and the staff is top notch in my book. Art Pic can’t be beat when you need great current art. Marina’s collection and its proximity to the valley stages are priceless. 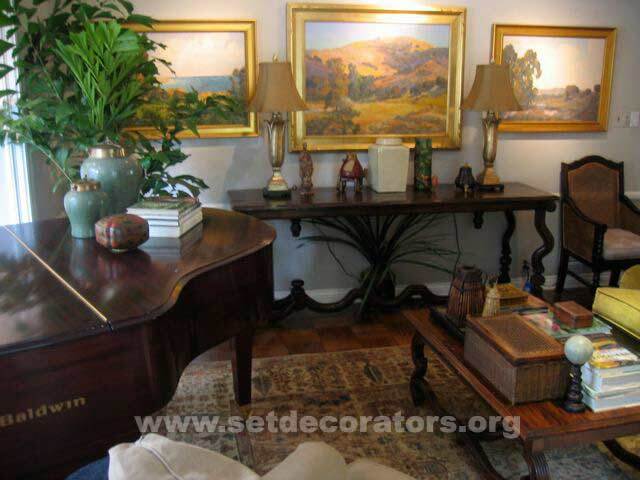 It’s also very helpful to have the option to purchase the art off the showroom floor if needed. Objects is the prototype for contemporary furniture houses in the industry. 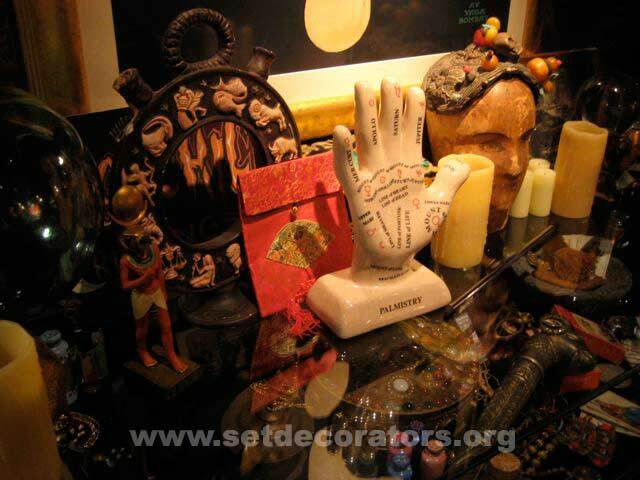 Their eclectic collection is beautiful, and it works with many different styles, making it a sure bet in a crunch. U-Frame It has been a lifesaver on many occasions. 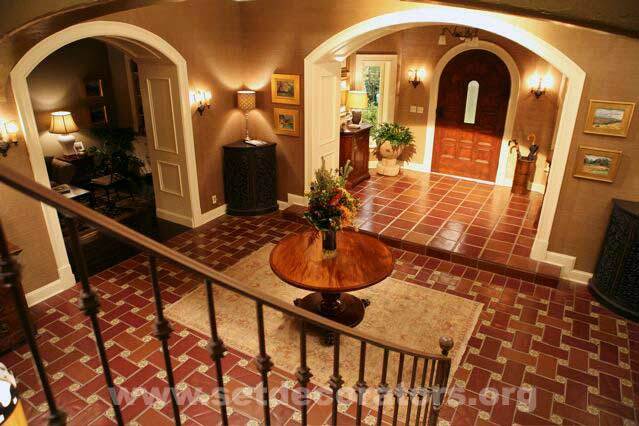 They have a wonderful selection of in house moldings, a very fast turn around and great prices. They are also open on weekends, which is a huge benefit for those of us who inevitably have last minute changes that need to get done. I try very hard not to be one of those decorators who look like they live in their car, and I mean I really try! I have four things in my car: a tape measure, work gloves, my coffee mug, and my yoga mat for when I need to decompress from the day. That’s it and I plan on keeping it that way. 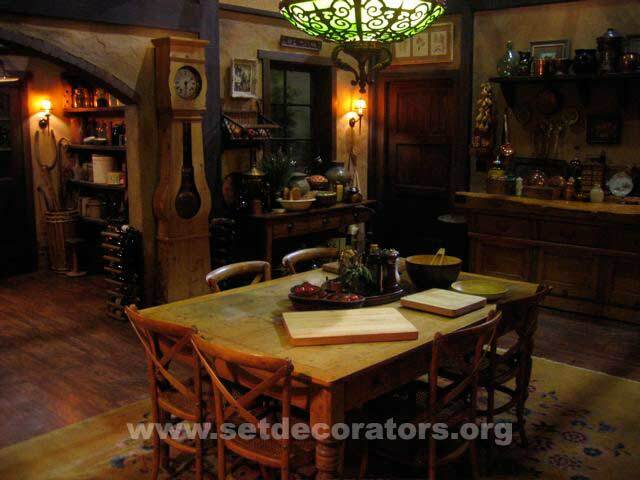 What advice would you give to those interested in the field of set decoration? From my experience, it is a wonderful job filled with excitement and possibilities, which is all I’ve ever wanted in a career. 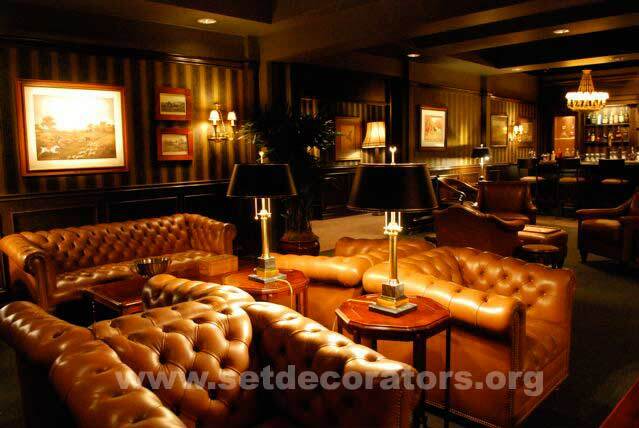 It takes a unique person to succeed in this industry and a strong person to succeed at being a set decorator. I wouldn’t say it’s an easy life, but for me, creating every day is a gift. My job is filled with never ending challenges on a daily basis, which sometimes frustrate me to no end, but I love my role in the process. All I can say is you must have a work ethic beyond your capacity, you must be flexible in every sense of the word, and you must trust those you surround yourself with. My advice is to surround yourself with responsible, talented, hard working people who you respect and the rest should fall into place. What are three tools of your professional you could not function without? In the morning I have to have my cup of coffee to get my head in order for the long day ahead, whether I drink it or not, it’s a must. The one item I cannot live without is my computer, I spend the early part of my morning answering emails and finding solutions to the problems at hand. Finally, and most important of all is at least 6 hours of sleep a night, otherwise the brain and body work at half capacity. My routine is simple. Having structure helps me in all aspects of my life and contributes greatly to a sense of well being. 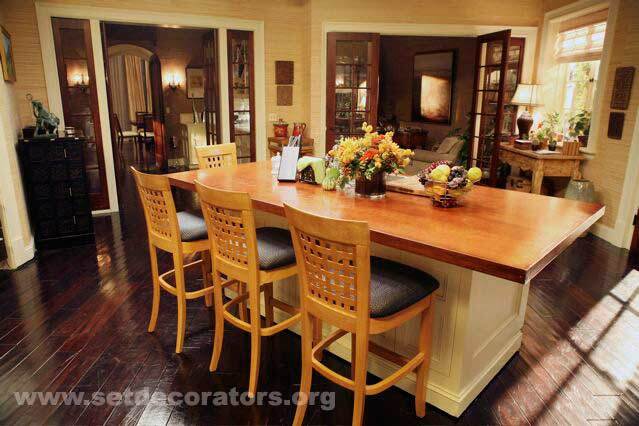 Have you ever experienced a set dressing disaster on-set? I have been extremely fortunate in my short career, steering away from any major disasters. I have had complicated situations, like dressing an island in the everglades which took multiple airboats moving furniture between the mainland and the island in the cover of darkness. I have dressed sets in the pouring rain for the next day of shooting, knee deep in mud. I have had last minute changes to accommodate producers. All of which is par for the course in this business. I count myself blessed and lucky in this case and I have my great lead man and crew to thank for it. What advice can you share with SDSA members who want to get the most from their membership? My advice to members for getting the most benefit from our organization is to get involved in promoting our craft. I recently became a board member and have really enjoyed the experience. 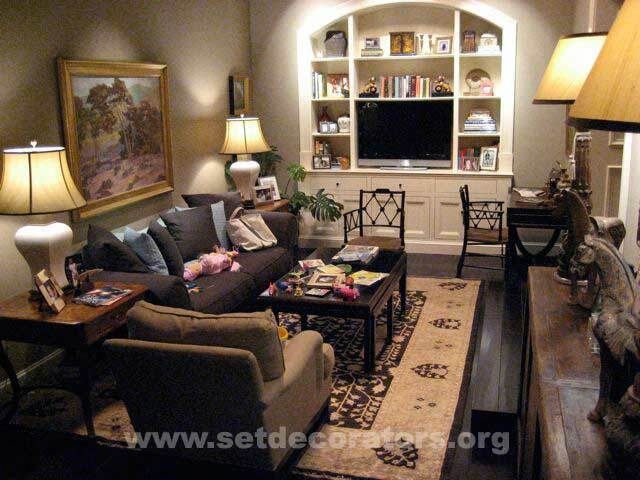 It’s very seldom that decorators get the chance to work with each other in a common goal and get to know each other on a personal level. It’s been a great learning experience, for a great organization, which ultimately benefits us all and preserves our status as an important link in the film and television making process. I would strongly encourage everyone to visit and use our website as a professional resource, volunteer on a committee and get involved in helping us promote our craft and its importance to the artistic process. What is your concept of the perfect bedroom? If I were able to design a bedroom any way that I wanted, I would keep it simple. It would have no walls, one hammock tied to two beautiful trees, near the beach on my own island, with no phone and the moon as my night light. I couldn’t think of a better place to sleep than that!